See "Midsummer Night's Emily" for details... 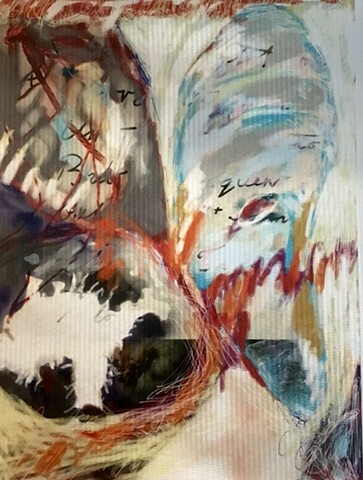 This painting is created from my hand-written "fascicles," the sewn-together manuscripts that Emily wrote... I studied her handwriting and copied out a few poems, then overlaid these iPad paint strokes... I also found out that she read Ruskin on painting, so titled this after a book on her shelves.